Sound familiar? Too often presenters don’t deliberately develop their TAKE-AWAYS. They don’t crystallize their content into memorable, bite-sized messages that resonate with their audiences. To ensure this doesn’t happen to you, purposefully design and integrate take-away messages into your communications. 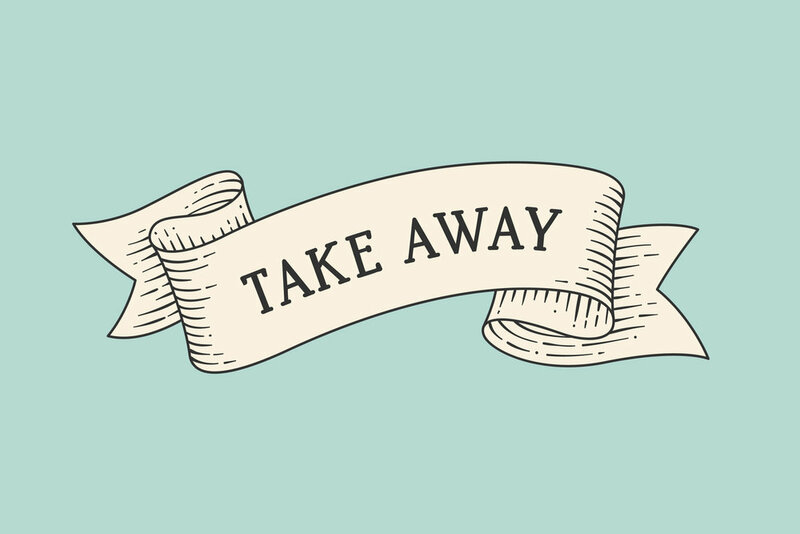 A take-away message is a memorable phrase or short punchline that is periodically repeated throughout a presentation or conversation. It should be introduced early on, repeated following the presentation of details and supporting information, and then woven into the conclusion. It quickly and efficiently summarizes an idea or argument and has a memorable quality. It’s difficult to provide example take-aways outside the context of a complete presentation, but think of the chorus from your favorite song--it just sticks with you even though you may not perfectly recall the rest of the lyrics. To make a take-away memorable, punch it, repeat it, and make it overt. In the end, the effectiveness of your communications comes down to what people remember, and what your audience recalls is too important to be left to chance. Help your main points resonate by including a memorable take-away for each one. If you want assistance crafting memorable messaging that gets the job done, consider partnering with The Professional Communicators.